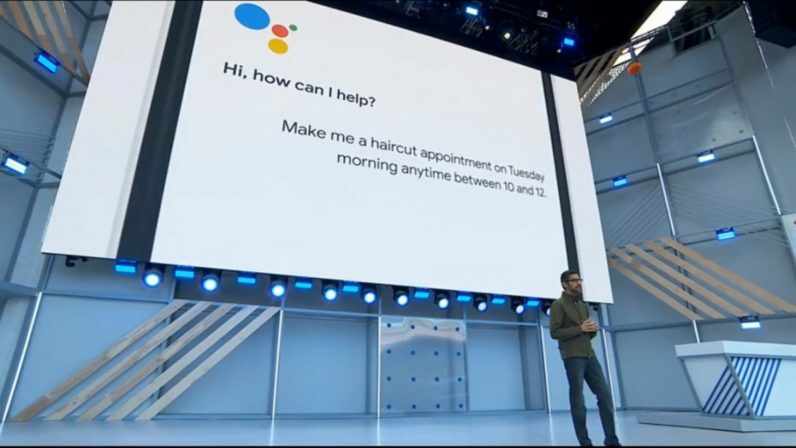 Google’s Duplex, an under-development AI system that makes phone calls on a person’s behalf has taken a bit of a beating in the media in the days since it was announced at the Mountain View company’s I/O event. Basically, Google’s AI team built a neural network capable of conducting real-world business over the telephone on behalf of a human. When CEO Sundar Pichai debuted it on stage, it was immediately apparent from the crowd’s reaction that it was the first “omg moment” of the event. I was in that crowd, and I’m not ashamed to admit I was quite wowed. But I wasn’t thinking about the convenience of having an assistant (virtual or otherwise) make my phone calls, or worrying about a future where people no longer communicate with each other. I was experiencing a certain kind of hope for the first time in my life. It felt like maybe, in my lifetime, I might finally stop feeling pressured to use the telephone. And that was a surprisingly powerful feeling. Let me explain: I’m uncomfortable talking on the phone, and always have been. I enjoy conducting phone interviews for work, because I get to be in charge, ask important questions, and nobody wants their time wasted. Otherwise, I’m emotionally rattled by phone silences and I get apprehensive to the point of becoming nauseated when people expect me to engage in small talk on the phone. But that’s not a very good solution for me. I don’t live in Silicon Valley where you can order a driver, a sandwich, or cannabis vape with the tap of an icon. Anyone who lives or has lived in a place where “online ordering” is considered something that fancy people in California do, will understand what I mean. People with social anxiety often exist in a world where it feels like others dismiss their problems. The tidal wave of articles decrying Duplex, and similar technology, as parlor tricks may be warranted – it is, after all – but they ignore another point: this could improve quality of life for people like me (even if it’s not a fit for everyone). In the wake of Google’s Duplex announcement, Microsoft purchased a voice technology company and started showing off its own phone-call making AI in China. It can only be assumed that a few other companies were working on similar solutions prior to Google’s announcement – and likely a lot more since. Duplex may not, realistically, be anywhere as cool as it was advertised on the stage at I/O, but it makes an impressive first step.